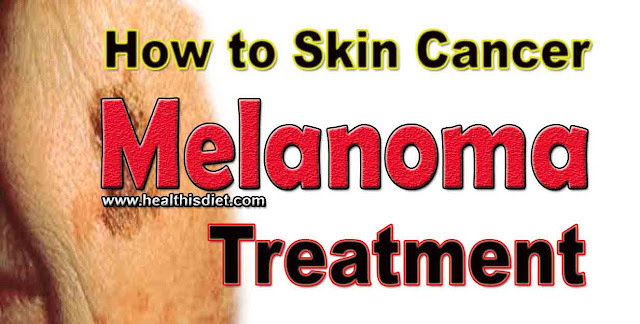 How to Skin Cancer Melanoma Treatment. Melanoma Treatment greatly depends on the individual's condition to be treated, the type of cancer and stage of cancer also suffered. The main handling in coping with melanoma is through surgery. Stage 0; melanoma is on the surface of the skin. Stage 1A; melanoma thickness less than 1 mm. Stage 1B; melanoma thickness 1-2 mm or less than 1 mm but with damage or cuts on the skin's surface. Stage 2A; melanoma thickness: 2-4 mm or 1-2 mm but with damage or cuts on the skin's surface. Stage 2B; melanoma thickness over 4 mm or 2-4 mm with damaged skin surface. Stage 2C; melanoma thickness over 4 mm and the surface of the skin is damaged. Stage 3A; melanoma has already spread to one to three nearby lymph nodes, but the node does not swell. At this stage there is no damage to the skin and has not spread further. Stage 3B; melanoma of the skin Surface has a natural damage and the melanoma has spread to one to three lymph nodes, but not enlarged. Alternatively, the surface of the skin undamaged and melanoma spread to one to three lymph nodes and node already engorged. Or the melanoma has already spread to the small area of the skin or lymphatic channels, but not to lymph nodes. Stage 3C; melanoma skin surface damage and has already spread to one to three lymph nodes and enlarged. Or the melanoma spread to four or more lymph nodes. Stage 4; melanoma cells have already spread to other parts of the body such as the lungs, brain, and other parts of the skin. To treat melanoma Stadium 1, Plastic Surgeon will perform the surgery to remove the melanoma cells and a small portion of the skin in the surrounding area. Sometimes in the process of surgery, for some cases of melanoma will be done for anesthesia, so you will be asleep or unconscious. But surgery for melanoma stage 1 is generally done by local for anesthesia. You will remain aware, however the area surrounding the melanoma will be numb and you will not feel pain. If the surgery leaves scars inconspicuous, you could opt for the combined operation to graft skin. Skin grafting means taking some skin from other parts of the body, for grafted or affixed in the surgery. Possibility to melanoma stage 1 who have been appointed will be back is very small, so it is usually not necessary for advanced handling after surgery. The handling is done the same way as in stage 1, i.e. the infected area melanoma will be appointed and if necessary surgery skin grafting. If the melanoma has already spread to the nearby lymph nodes, you may need further surgery to lift it. Total for anesthesia should be done for this operation. The process of appointment of lymph nodes contains risks to your lymphatic system disorders. The effect can cause a build-up of fluid in the body. In medical terms this is known as limfedema. You still advisable to consult a physician about the recovery process and be aware of signs of melanoma will return. Melanoma has already spread to other parts of the body (metastases) when first diagnosed. Melanoma appeared again in another part of your body after previous treatment. In the above two conditions, most likely could not be healed. The handling is done only to slow the spread of cancer, reducing the symptoms being experienced, and prolong the lives of sufferers. Surgery may be performed on a melanoma which appeared far from melanoma cells first appear. Whereas in order to reduce the effects of symptoms that occur, some handling can be done is radiotherapy and consumption of drugs. The care and treatment that is done usually have side effects that could affect the quality of your life. If the results of the treatment does not add much age or you do not feel the symptoms that cause pain or discomfort, you might reject doing all the existing cancer treatments. If you decide not to receive treatment, pain relief medication and special nurses might be provided if you need it. This is the type of palliative care. The entire decision is in your hands. To remove lymph nodes after surgery and to relieve melanoma symptoms of stadium high, treatment of radiotherapy can be done. Radiotherapy beam radiation with a dose of applying controlled to kill cancer cells. This procedure is done in the hospital in a few sessions daily during 10-15 hours, with weekend will stay at rest. Side effects of radiation therapy include fatigue, nausea, lost of appetite, hair loss, and rash-rash on the skin. Consult an experienced side effect to your doctor. The doctor can give you medicine to prevent or control the side effects. These side effects will be reduced little by little over live sessions that followed. Handling of melanoma that has already spread to other parts of the body is to use chemotherapy. Chemotherapy is generally done to relieve pain from symptoms of melanoma arising on the stadium. Chemotherapy uses anti-cancer drugs consumption or cytotoxic to kill the cancer. Some types of medications can be used to treat melanoma. A specialist will discuss drugs with you. There are many different types of chemotherapy, and drugs can sometimes be combined. The most commonly used to melanoma treatment is the dacarbazyne and temozolomyde. Patients undergoing chemotherapy don't have to stay in hospital. Chemotherapy is administered once every three or four weeks. Pause time given aims so that your body has time to recover. Dacarbazyne is given via infusion and temozolomyde is given in tablet form. Chemotherapy has some side effects that are caused by the influence of the drug against the resistance of the body. 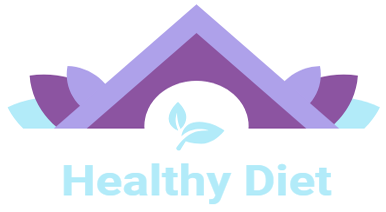 Most side effects can be prevented or controlled with medication prescribed by your doctor. The side effects of chemotherapy in whom infection, nausea and vomiting, fatigue, and thrush. Application of immunotherapy drugs that already wear comes from existing elements in the blood naturally. This treatment aims to encourage the immune system to fight melanoma. Two commonly used drug for melanoma is interferon-alpha and interleukin-2. Both of these drugs are given via an injection into the blood vessels under the skin, or into tufts of melanoma. The side effects that often occur from discharging immunotherapy resemble flu symptoms, such as fever, joint pain, and fatigue. The human body produces antibodies which serve to control the infection. In addition to the body, there are also antibodies can be produced in the laboratory, called monoclonal antibodies. Sufferers will be given artificial antibodies in certain doses. Then these antibodies will recognize tumor cells and destroy it.